Nollywood news + Naija Gist | Yoruba movies, Naijagist, Nigerian music, Naija news, Nigerian movies: Bank W's Wife actress, Adesua Etomi converts, wears an Hijab! Bank W's Wife actress, Adesua Etomi converts, wears an Hijab! 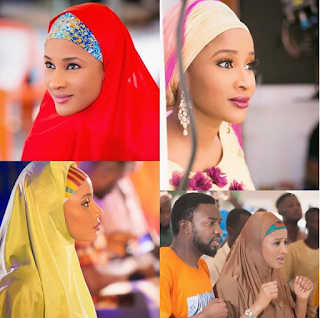 Talented Actress, Adesua Etomi has converted in the roles she interpret in Nollywood Movies as she was pictured wearing an Hijab on set of an Upcoming Movie. She Wrote; "I fit right in, don’t I guys? People used to think I was Fulani when I was younger oh😁"